Beat was released in June 1982, just eight months after the '80s Crimson lineup debut album Discipline. It marked the first occasion where a King Crimson lineup had remained intact for a two album stretch and was also the first album by the band to employ a separate producer — Rhett Davies. The juxtaposition of lyrics heavily influenced by '50s beat luminaries Jack Kerouac and Neal Cassady. The complex polyrhythmic musical textures of the ‘80s Crimson, the strength of the songs and the cohesion of the studio performances, all helped the album chart upon release in the U.S. and the U.K. Songs such as "Waiting Man," "Neal and Jack and Me" and "Heartbeat" became firm favorites with fans and concert goers. "Heartbeat" in particular was an FM radio regular in the US and even merited a promo film shot for the then-emerging music TV market, while one of the album's twin instrumental tracks "Sartori In Tangier" anticipated the emerging interest in African based rhythmic styles that would become such a fascination for musicians in the latter part of the decade. As ever, Crimson was pushing forward, looking for new methods to communicate internally as a band and externally with an audience. It was, perhaps, the nearest King Crimson ever came to the rock music mainstream. As with other albums in the King Crimson CD/DVD-A series, the stereo CD features a new stereo mix by Robert Fripp and Steven Wilson, while the DVD-A features 5.1 mixes of the album by Steven Wilson, high resolution stereo mixes of the original and new stereo mixes. Additionally, the original album is presented in rough mix form along with additional audio extras, video performance footage of two songs from The Alabamahalle, Germany and the original promo film for Heartbeat. 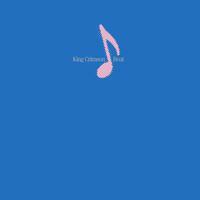 •	Beat – is the 11th release in the acclaimed King Crimson 40th anniversary series. • The classic album has been mixed for 5.1 Surround Sound from the original studio masters by Steven Wilson & is fully approved by Crimson founder Robert Fripp. •	CD also features live & studio versions of the otherwise unreleased “Absent Lovers” track. •	DVD-A (compatible with all DVD players & DVD Rom players) features a 5.1 DTS Mix and High Resolution Stereo mixes. •	DVD-A players can, additionally, access a 5.1 Lossless audio mix and Lossless Stereo mixes. • DVD-A also includes footage of performances featured on German TV live from The Alabamahalle & the original, rarely seen, promo film for ‘Heartbeat’.